Shelly beach on Nambucca Heads coast of Australia towards pacific ocean. Top down view from above over endless waves hitting coastal cliffs. 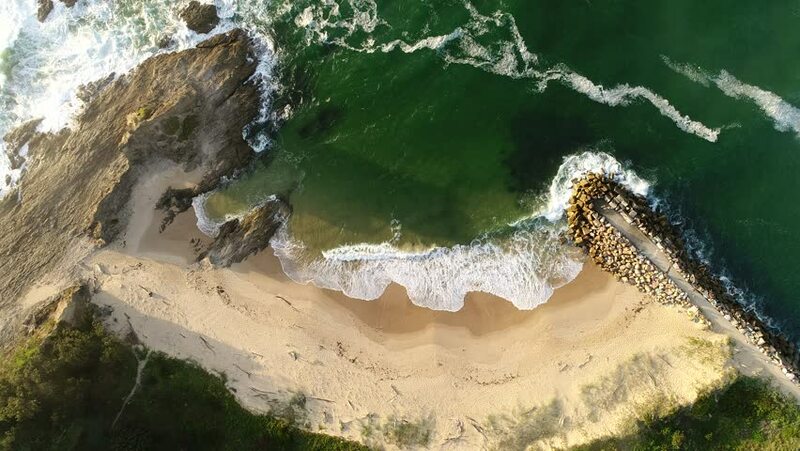 4k00:18Small secluded isolated sandy beach between rocks washed by entering waves in aerial top down view. 4k00:12Alaska extruded on the world map. Rivers and lakes shapes added. High resolution Blue Marble raster used. Elements of this image furnished by NASA. 4k00:25Caucasus. Ossetia. Gorge Kurtatinskoe. Tepli array from the north. 4k00:30Sandy Lake Michigan waves lap the beach on a windy day, aerial view.